Earlier this summer, a community in Charleston, South Carolina was struck by the horrific murders of nine innocent people. Closer to home in Charlotte, a community was struck by a terrible church fire. On Saturday, August 22, Nikao Church traveled to The Harvest Center in Charlotte to attend an event hosted by Sparked With a Purpose to support the rebuilding of the Charleston Emmanuel AME Church and Charlotte's Briar Creek Baptist Church. We donated children’s books & a specially made bookcase to the Cynthia G. Hurd St. Andrews Regional Library, in honor of Cynthia G. Hurd who was one of the victims in the Charleston church shooting. We also sowed a seed to assist with the rebuilding efforts. It was a great night of worship, prayer, spoken word and community coming together with one goal: restoration! It's officially football season! And to kick it off members of the Nikao Dream Team volunteered to work the concession stands at Vance High School’s first home game on Friday! The Vance Cougars had the victory- beating their opponent, West Mecklenberg, 56-12!!! Way to go, Cougars!!! This morning, members of Nikao Church spent the morning serving breakfast to teachers & staff at Vance High School in Charlotte. The team had an awesome time! The teachers & staff were extremely surprised & appreciative. Gift cards & notes of appreciation were also given to the teachers & staff. Additionally, Nikao Church was able to deliver breakfast, gift cards & notes of appreciation to the teachers & staff at nearby James Martin Middle School; also in Charlotte. What an honor to display Christ’s love in this way! We had a very memorable Mother’s day service. Leading Lady Tamika said a special prayer over all mothers and we had our first baby dedication! Three young children were dedicated to the Lord at Nikao during our Mother’s Day Service. We are excited to see what God will do in their lives and are believing that these children will be world changers! On May 7th, during teacher appreciation week, we showed our gratitude to the faculty and staff of Vance High School by providing Krispy Kreme donuts, coffee, and thank you cards for all staff members. Our Pastor and a few team members also assisted with lunch duty and at the end of the day, several gift cards, gift bags, and duty-free vouchers were raffled off. That afternoon we also provided donuts and coffee to the staff at James Martin Middle School. It was an honor to serve the teachers who give to our students. We truly believe that WE is greater than ME and these teachers embody that every single day. THANK YOU to all teachers! What an awesome day we had at Nikao Church. Minister Kim Reid led Nikao in powerful praise and worship. Pastor Brian preached a message entitled, “Worry Free.” We ended our service with our first baptism. Fourteen individuals made the decision to “go public” with their faith. Their decision to outwardly express their faith through baptism was a declaration of their decision to accept Christ. With the submersion in water, the old is gone and the new has come. A celebration was held afterwards for the candidates and their families. On April 18th, we laced up our running shoes and participated in the Chick-fil-A Governor’s Village 5K Race. All money raised went toward college scholarships for students at each of the four Governor’s Village Schools: Morehead STEM, Nathaniel Alexander Elementary, James Martin Middle, and our very own Vance High School. The run included a USATF Certified Course that included ChronoTrack Chip Timing, Age Group Awards and Chick-fil-A food products at the finish line. We had 10 Nikao Runners and one of them finished in the top 10 overall! 3/15/15 marks the day we witnessed years of study, countless hours of prayer, selfless accounts of service and invaluable measures of sacrifice, the first of many services at Nikao Church! As a church, we were honored to serve 312 adults, who received a life changing message. We were also able to serve 43 kids in our Nikao Kids ministry. To top it off, 15 people gave their lives to Christ! Words cannot express our gratitude for all of the support we have received via your faith and resources. We are committed to spread the message of Jesus as we help people overcome through Christ and win in life. 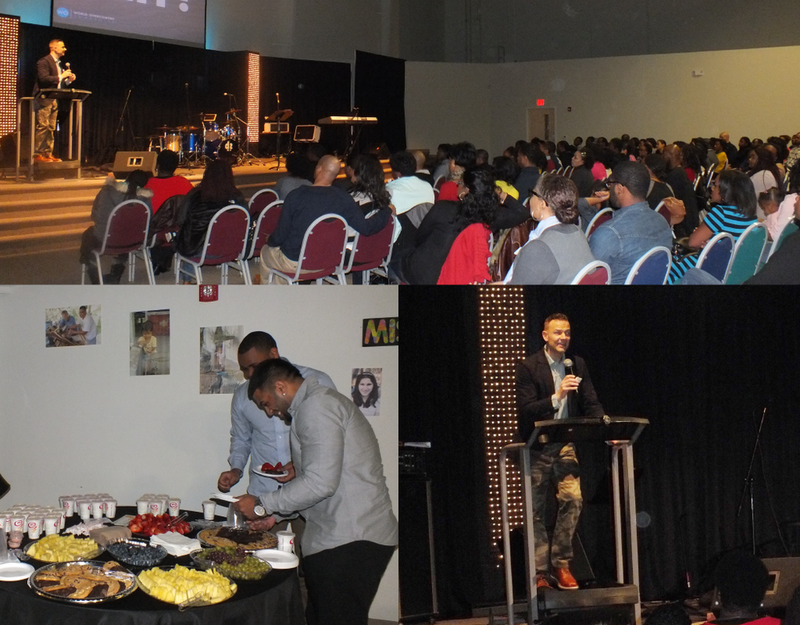 In anticipation of our church launch, we held a Vision Night at the Crosspoint Center in North Charlotte on January 25, 2015. We had an awesome turnout and got to meet many people who came to hear the heart of WO Charlotte and find out how to get involved. In addition to a time of worship and a word on vision from Pastor Brian, we enjoyed friendly competition during our “Ultimate Game Night” and had a healthy start to 2015 thanks to our friends at Jamba Juice Smoothie (except for those of you who snuck extra chocolate chip cookies that night – we know who you are!). On January 4, 2015, we began holding weekly leadership trainings with a team of over 50 individuals dedicated to helping us launch WO Charlotte. During these meetings, we established the culture of our church, built our chemistry as a team, and heard in detail the vision God has given Pastor Brian for our church and our call as leaders in our communities. From here, we eagerly continue to pray and prepare for all that God is going to do in Charlotte when WE truly becomes greater than me. If you would like to know more about our launch team meetings or how to become more involved, email us at info@nikaochurch.org. This Christmas, we had the honor of providing 32 women and children from a local shelter with their Christmas wish lists. Many would have received nothing for Christmas, but instead received everything from new bikes to new clothes. It was truly an amazing opportunity for us to share the love of Christ and the hope found in Him with the families of our city. The joy we shared that day at the shelter once again reminded us that it is more blessed to give than to receive. Today we had a special "service" where we were able to serve the women and children of a local Charlotte shelter. We provided 250 kids with hats, scarves, gloves, and socks for winter.